Alter Bridge’s anthemic arena rock is both heavy and heartburstingly emotional, their back catalogue brimming with melodic hooks and their live shows notoriously tight. 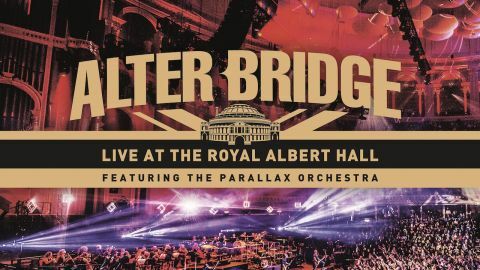 It really is no surprise that they’ve jumped on the rock Royal Albert Hall bandwagon (they’re all at it, from Nine Inch Nails to Ghost), and, as expected, those choruses along with an orchestra are spellbinding. In this live CD/DVD package the full live performance is broken up with behind-the-scenes footage, interviews and insight into how the Parallax Orchestra prepared to accompany the songs. Indeed the likes of the acoustic Wonderful Life and the uplifting Lover are given extra zing, and vocalist Myles Kennedy gives a shout-out to the “rock star” conductor and musical director Simon Dobson.